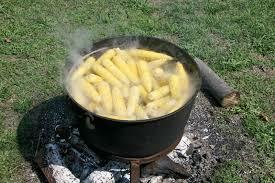 On Friday August 9th, 2013 The Ancaster Discovery Gardens will be hosting a Corn Roast. The Corn Roast starts at 7:30 pm before the Friday night movie at Fieldcote which feautres the Movie Field of Dreams. What a great way to come out and celebrate summer! Corn Roast tickets are by donations. Come and join them at Fieldcote Memorial Park & Museum, 64 Sulphur Springs Road, for a fun night, under the stars, with family and friends.